This Saturday is St. Patrick’s Day, when we celebrate his life and legacy. However, this celebration didn’t begin until 1631, almost 1200 years after his death. Since I love Ireland, I thought I’d do a little research on its patron saint. Maybe you already knew this, my kids did, but Saint Patrick wasn’t a canonized saint, and he wasn’t Irish. I know, shocking, however, I don’t want to focus on what he was not, but what he was—an obedient follower of God, who brought Christianity to Ireland. For the history purist, there was another missionary before Patrick, but he wasn’t very successful, or we might celebrate St. Palladius’ Day. Here is some of his story that I gleaned from several websites. Patrick was born around 387. As a teenager, Patrick was kidnapped from Scotland/England and taken to Ireland where he was a slave for several years. 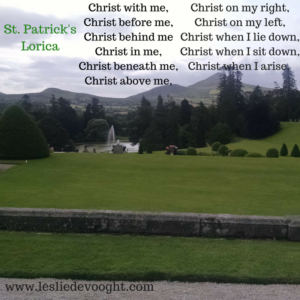 During this time he developed a strong faith, clinging to God in the midst of pagan Ireland. Before his captivity, his faith was lackluster at best. After experiencing a vision that led to his rescuers, he escaped his captor, a chieftain, who would eventually become one of his converts. After spending years in a monastery and learning about God, Patrick became a priest and then a bishop. Soon after, he followed God’s call to Ireland. His strategy was to convert the clan chiefs, so they would lead their people to God. However, this was dangerous business and his life was constantly in danger. Eventually, Patrick converted a powerful chief, akin to the king, and baptized him. Patrick spent about forty years ministering to the Irish people and planting churches across the Island. He died on March 17, 461 and is buried in Northern Ireland. Two parts of his story strike a chord with me. The first part that he didn’t embark on this part of his life until he was forty. It seems it’s never too late for God to change our lives and send us on a mission for him. The second part is the faith and courage it must have taken to approach these pagan chiefs. In his own words, he writes in the Confession, “I [was] a sinner, a simple country person, and the least of all believers. 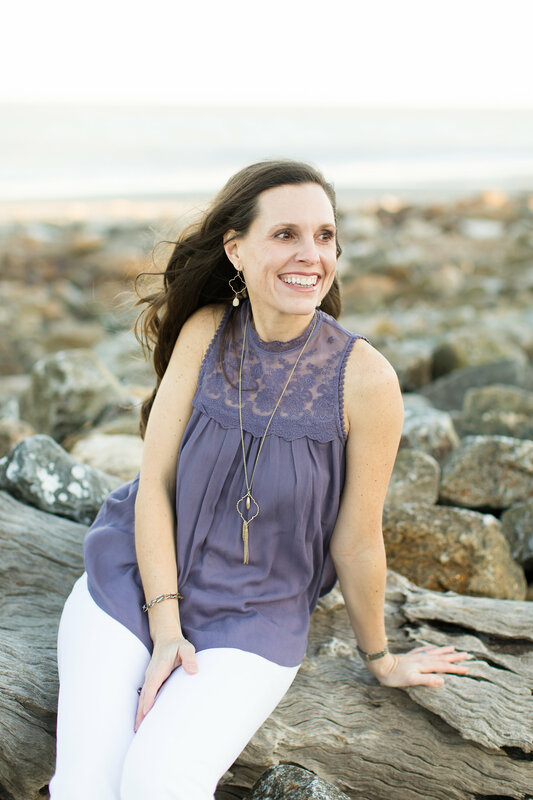 I [was] looked down upon by many.” This reminds me how God chooses the least likely to his greatest works and the courage that only God can provide in the face of impossible odds. What do you need God’s strength for today? Is God calling you to try something new, serve in a new and even scary way? How will you answer? May this be our prayer every morning. (Many people only pray the bold section; however, I wanted to share it in its entirety.) I loved to hear your thoughts, share below in the comments.